Murder Contract Killers Worldwide Murder Incorporated Contract Murder. U.Ks F.B.I.Russian Mafia. Dimitros "Jimmy" Samsonidis, an associate of the Mokbel and Moran drug gangs, was arresteed in Athens while attempting to smuggle a ton of ephedrine into Australia. He was in the process of setting up a factory in Melbourne to turn the ephedrine into the deadly drug ice and an estimated 80 million speed tablets. A three-year investigation by Australian Federal Police, the US Drug Enforcement Administration and Greek police foiled Samsonidis' plan to flood Australia with amphetamine products. It also smashed an international syndicate that was operating out of Greece and sending drugs to Australia, Latin America and several European countries. In an unrelated drug bust, the AFP yesterday revealed an international crime taskforce had dismantled a Canadian-based Asian drug syndicate that tried to smuggle tens of millions of dollars of drugs into Australia. Samsonidis was living the high-life in the Athens seaside resort of Lagonisi. Greek police seized a Porsche Cayenne and property and cash worth millions of dollars from Samsonidis. When police raided his Athens mansion they found a sub-machinegun, a pistol and a large amount of ammunition. Samsonidis and former Sydney drug dealer Konstantinos Skouras were allegedly running the company in charge of reviewing security at Greece's largest port at the time of their arrest in May 2006. This gave them intimate knowledge of how to get around security measures at the port of Piraeus, from where the drugs were to be shipped. The Greek Supreme Court last month ordered an investigation into how their company, European Security, was given the government contract to review port security. It is also examining the role of a former Greek MP who used to be married to Skouras' sister and is now managing director of European Security. Although born in Greece, Samsonidis, 53, spent most of his adult life in Melbourne and was jailed in Victoria for manslaughter in the 1970s. Police intelligence files list him as one of Australia's most prolific heroin dealers during the late 1980s. He was a director of a number of legitimate companies in Melbourne between 1994 and 2004, and invested heavily in amusement arcades. He allegedly used to own Carlton's Woolpack Hotel. Samsonidis was a close associate of drug gang patriarch Lewis Moran, his son Jason and stepson Mark – all murdered during Melbourne's gangland war. Samsonidis also had many illegal dealings with convicted cocaine smuggler Tony Mokbel. Lewis Moran, father of slain underworld brothers Mark and Jason Moran, was shot dead in a Brunswick pokies club . The other victim in the shooting at the Brunswick Club, at the corner of Sydney Road and Michael Street, was believed to be Moran's bodyguard. Moran was pronounced dead at the scene.Lewis Moran was killed and his friend Bertie Wrout wounded when two masked men walked into the bar of the Brunswick Club in Sydney Road, Brunswick, and opened fire. Moran was a career criminal and drug dealer and a close friend of crime identity Graham Kinniburgh, who was shot dead outside his Kew home on December 13, 2003. Lewis Moran's son Jason and stepson Mark were also victims of the underworld war. Tony Mokbel went missing in March 2006 when he failed to appear towards the end of his Victorian Supreme Court trial over the importation of 2kg of cocaine. He was subsequently found guilty of trafficking cocaine and sentenced in absentia to a minimum of nine years' jail. He was also charged over the murder of underworld figure Lewis Moran in the front bar of Melbourne's Brunswick Club in March 2004.Lewis Moran, father of slain underworld brothers Mark and Jason Moran, was shot dead in a Brunswick pokies club . Moran was pronounced dead at the scene. His death follows that of Andrew "Benji" Veniamin, the alleged right hand man of accused drug baron Carl Williams, who was shot dead in a restaurant in Carlton. Mokbel tried to trick police in Australia into thinking he was dead in the hope they would stop looking for him. His ruse was plausible enough to convince police to do a preliminary search of the Tatura cemetery in northern Victoria. Plans were well advanced for Australian Federal Police to hire expensive sonar equipment to scan every grave in Tatura for Mokbel's body. If that hunt was unsuccessful, the graves in other cemeteries would probably have been searched. The planned sonar search was scrapped when police discovered Mokbel was alive and well and living in Greece. AFP agents were told the Calabrian mafia murdered Mokbel the night he disappeared and buried his body in an existing grave. Information provided to the AFP suggested Mokbel's body was in either the Tatura, Swan Hill or Stawell cemetery. Evidence suggests Mokbel himself was behind the elaborate disinformation campaign. The AFP suspected from the beginning that the "Mokbel is dead" theory was a disruption tactic by Mokbel or his associates because it would be to Mokbel's advantage for people to think he had been murdered. But AFP could not ignore the information just in case it was correct. Valuable AFP time was wasted in the initial search of the Tatura general cemetery and nearby Tatura War Cemetery, which contains the graves of 250 German servicemen and civilian internees who died in Australia during World Wars I and II. The AFP was told the Italian secret society murdered Mokbel in revenge for the death of mafia money launderer Mario Condello. It had been alleged that Mokbel ordered the murder of Condello, 53, who was shot dead on February 6, 2006, as he was parking in the garage of his Brighton East home. The AFP was told a senior Calabrian mafia identity had been bragging to associates that Mokbel's body would never be found. He claimed that Mokbel was murdered to send a message to Melbourne's underworld that crossing the mafia would have deadly consequences. He claimed Mokbel was disposed of in the same way as Rocco Iaria was in 1991. The AFP was told the Calabrian mafia was involved in hiding Iaria's body in somebody else's grave at Pine Lodge cemetery near Shepparton. Iaria, 20, disappeared in 1991 while on bail awaiting trial over a $700,000 safe robbery that was allegedly organised by the Calabrian mafia. Police believe Iaria was murdered to stop him implicating others in the Bendigo robbery. A gravedigger found Iaria's body in 1998 when he opened the grave of an elderly woman to bury her husband in the family plot. An autopsy revealed Iaria was shot three times in the upper body. His hands were taped behind his back and his body covered in lime and wrapped in plastic. The Australian Government had had a comprehensive dossier on Mokbel prepared for months to present to the Government of whichever country Mokbel was caught in. It points out Mokbel is a convicted drug dealer and includes compelling evidence he is also a major organised crime figure and multiple murder suspect. Details of the offences for which Mokbel is wanted in Australia – including murder and serious drug charges – are included in the dossier. Despite an Interpol red alert, Australia's most wanted man did not lie low in the 15 months since he disappeared. With only an ill-fitting wig and facial hair, Mokbel ate out and regularly wandered about the exclusive seaside Athens suburb he was calling home. In an interview, Mokbel would not elaborate on the countries he had been hiding in but he did say he had flitted from place to place -- including the Philippines and Dubai -- and that Greece was the first country in which he had spent a substantial amount of time. He was renting a luxury apartment which cost him over 2000 Euros a month. The apartment is located in Hellenikon, a leafy Athens suburb next to Glyfada. 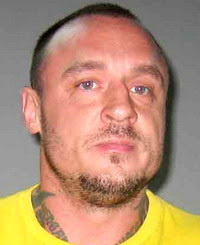 His girlfriend, Danielle McGuire had been living with him in the hideaway. It is understood their home backed on to a Greek Supreme Court judge's estate. Inquiries at a local real estate agent revealed the couple were looking to move house. While police did not know how long he and McGuire had been living in Greece, they believe it was for months. The couple had a child, a daughter born in Greece, in early 2007 and named Renate, after Tony's sister-in-law. Despite the Interpol web-site suggesting McGuire would seek work as a hairdresser, Mokbel later told police she hadn't held a job there. "She came here pregnant," a policeman close to the case said. Australian police saw this as evidence that the family, including Ms Maguire's daughter Brittany, 11, who Mokbel had organised a private school education for, planned to settle quietly in Athens. The day Ms McGuire left Australia, she was watched by the eyes of only a few detectives as, under the pretence of a holiday, she and Brittany flew to France in mid-2006 for a visit to EuroDisney. Their next stop was Rome, where thanks to some slick work by former store detective McGuire, they shook off the police on their tails. Where they spent the intervening months before her reunion with Mokbel and a new life in Greece remain unknown. The home the family chose has strong echoes of Melbourne. He wore a moustache and his now famous wig. Police believe Mokbel bought it from an Italian wig website. He spoke English — staff thought he was American — he always paid cash and often tipped 10 to 20 euros on a 60 euro bill. He smoked cigars. Greek authorities said Mokbel offered a $1.6 million bribe to escape. police source later confirmed he had twice tried indirectly to bribe local police before he realised they knew his identity. Theodoros Angelakis, 64, the Greek man Mokbel was with, owns a company for buying and selling yachts — existing only on paper and registered three months before — which Mokbel was funding. With silver hair and pockmarked skin, Angelakis, said he had lived in Australia but "wasn't fond of the place", he gave Tony Mokbel the Volkswagen four-wheel-drive, took him to smart restaurants and planned to go into business with him. Eight suspects are currently awaiting trial for one of Canada's worst mass killings: in April 2006 eight Bandidos members, including the president of the Canadian chapter, were found shot dead on an isolated farm in Ontario; their deaths allegedly part of "an internal cleansing" of the motorcycle gang. The Bandidos, reputedly the US's fastest growing gang, have 600 members worldwide, a fraction of the numbers in the Hells Angels. Both gangs call themselves motorcycle clubs, but the FBI calls them 'outlaw motorcycle gangs'. Members are responsible for extensive drug trafficking and are linked to violent crimes across the country, often against each other, according to the bureau's most recent gang threat assessment report. The 4,000-strong Mongols are the most notorious of the motorcycle gangs with chapters in California, Nevada, Oklahoma, Colorado, Arizona and Montana. In 2003, a Canadian court sentenced nine Hells Angels to up to 20 years in prison for their role in a war with a rival biker gang, the Rock Machine gang, which killed nearly 100 people in the 1990s. The violence in Quebec sparked further public outrage, when an 11-year old boy was killed by shrapnel from a car bomb, in 1995. Known in Australia as "bikie gangs", groups such as the Nomads, Outlaws, Hell's Angels, Rebels, Comancheros and Bandidos have become heavily involved in organised crime. The Australian Crime Commission says there are 35 outlaw biker gangs throughout Australia, with around 3500 full members. Experts say Australia has the highest number of 'bikies' per capita in the world. In Europe, three dominant groups, the Hell's Angels, the Bandidos and the Outlaws are involved in crimes ranging from traditional drug smuggling or vehicle crime to human trafficking and contract killings. They are increasingly active in new member-states but are particularly prominent in the Nordic countries, and in Germany and Belgium. They are also becoming more active in Britain. At the beginning of February 1997 Italian police were informed that Alexander Solonnik was found dead in Athens. On his body forged documents and notes showed important connections with Italy. On the morning of March 25th after days and days of investigations and ambushes the Italian S.C.O. policemen raided a flat in Via Gregorio VII, a residential area close to St. Peter Church in Rome. Here was found a duffel bag containing two Kalashnikof, three Scorpion machine guns, seven guns (some of them provided with silencer and some laser guided), 2500 bullets, two - way radios, daggers, wigs, forged documents. All this belongs to the man found dead in Greece, whose name is Alexander Solonnik: he was born in 1960 at Kurgan in Russia. Solonik remains a legend for the Russian public and is known as a 'superkiller', which is the name for the best contract killers in Russia. Solonik had worked for the army and had training with the militia he was entitled to seperate lock up away from the normal population, but for some reason (probably Solonik's month long run) he was placed among normal prison population. When it became known to the other inmates that Solonik had been a soldier and had done work for the militia he was marked for death. Since there are no real rules in the Gulag Solonik was on his own, and he managed. After fights where Solonik sometimes took on as many as twelve hardened inmates a time Solonik came out the winner. After this the other inmates left him alone, he had proven himself. Solonik kept to himself in prison and after two years escaped again. Solonik again went back home to Kurgan and there he joined the local notorious criminal organization where he started work as a hitman. Solonik's first target, the leader of a rival organization, has no chance and is whacked in 1990 in the city Tjumen. After this hit Solonik and some fellow gangsters from the Kurgan organization decide to go to Moscow. In Moscow there were jobs enough for a qualified killer such as Solonik. In 1992 Solonik whacks Russian vor Viktor Nikiforov, 6 months later another important Russian mob boss was whacked by Solonik. This time the victim was vor y zakone Valeri Dlugatsj, Dlugatsj was shot down in a crowded disco eventhough he was heavily guarded by bodyguards. In 1994 Vladislav Vinner is whacked by Solonik, Vinner had become boss after Dlugatsj death. These were all big hits but Solonik's biggest kill was yet to come. In 1994 Solonik tried to extort a Russian mobster and was told by that mobster that he didn't have to pay anything. The mobster made a phonecall and put the speaker on, Solonik knew the guy on the speaker it was Otari Kvantrishvili one of the most powerful Russian mobsters in Russian history. Solonik went home without the money. Several weeks later Kvantrishvilli is killed Solonik got his revenge and apparently had powerful backing, allegedly from Chechnian groups. Solonik had by this time become a famous person among Underworld and law enforcement figures. Law enforcement especially had a special interest since Solonik was supposed to be in prison. When Solonik and a fellow criminal are having a drink at a Moscow marketplace they are apprehended by the Moscow militia. The militia doesn't frisk Solonik, a big mistake. Under his jacket Solonik carried an automatic weapon when Solonik and the militia members are inside the office Solonik decides to fire. He hits four militia members and runs outside, on the run he shoots two more militia members, still running Solonik was hit by a bullet but kept running eventually he was overpowered and gave up. Solonik was back in prison this time in Moscow. He went into surgery and the bullet was removed. In prison he studied foreign languages. In 1995 he escapes again. This time Solonik has little hidingplaces in Russia, his name and face are known and he is wanted by government and organized crime groups. Nobody knows where he is. After his escape Solonik went to Greece using a passport with a false identity which he got from the Greek consulate in Moscow. In Greece Solonik set up his own organization of around 50 men which dealt in narcotic shipments and ofcourse Solonik's specialty contract killings. Solonik's organization bought several villa's in an Athenes suburb. All this was done in secrecy, the Russian media and government had no clue what had happened to Solonik and among the public Solonik's legend grew. Solonik already had the status of 'superkiller' and now had escaped law enforcement and organized crime. But in February 1997 the legend was over. Greek newspapers published articles that said a Russian mob boss had been found 15 miles from Athenes. The man that was found was strangled to death and had no identification documents on him, after fingerprints were taken his identity became clear: it was Aleksandr Solonik. In the weeks after Soloniks body was found Greek authorities raided the villa's of Solonik's organization and found an arsenal of weapons, it also became clear that within a week Solonik was expected in Italy for a contract killing. A killing he wouldn't finish. According to the rumors Solonik was whacked by a Moscow Organized Crime group according to the Russian legend Solonik is still alive and the body that was found was a fake put in place by Solonik. Police have arrested two men suspected of shooting a Moscow businessman, cutting off his head and making off with $20,000 in cash, a law enforcement source said Tuesday. The suspects were arrested Monday in Moscow after the victim's decapitated body was discovered in the Moscow region city of Volokolamsk, the source said on condition of anonymity because of the ongoing investigation. The investigation is being handled by the Investigative Committee branch at the Moscow Region Prosecutor's Office, said Yelena Rossokhina, spokeswoman for the regional prosecutor's office. She would not say whether the suspects had been charged, saying she was not authorized to give any details on the case. If charged and convicted of murder, the suspects face up to life in prison. Calls to the regional Investigative Committee went unanswered Tuesday. According to the source, the 29-year-old unidentified businessman left his apartment on Nov. 21 and drove to Volokolamsk with the two suspects in a Mitsubishi Pajero sport utility vehicle. In a wooded area in the city, one of the suspects shot the businessman dead with a Saiga hunting rifle and took $20,000 in cash that the victim had with him. Using an ax and a knife, the suspects removed the businessman's head from his torso, the source said. The victim's body was discovered in the Pajero the same day, but police tracked down the suspects only after being notified Friday that the businessman had disappeared, the source said. 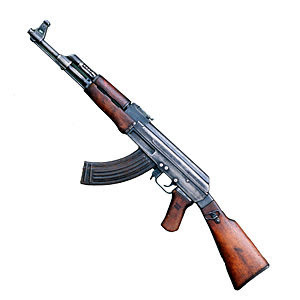 The Saiga rifle -- registered to one of the suspects -- was found during their arrest Monday, the source said. An Interior Ministry source said the suspects were both unemployed and born in 1989 and 1975, respectively, the Regnum news agency reported Tuesday. They buried the businessman's head, the source said. Andrei Kozlov, 41, the top deputy head of Russia's Central Bank, was shot on as he left a corporate football match in northern Moscow. He had spent years crossing swords with money-launderers and the Russian mafia's bankers, and had direct oversight of the entire Russian banking sector. He and his driver were attacked as they left a sports stadium, and appear to have had little chance to defend themselves. Mr Kozlov was shot in the head and the chest, and died from his wounds in the early hours of yesterday morning, leaving behind a wife and three children. Police say there is no doubt that the murder was a professional "hit". His driver was "finished off" with a shot to the forehead, suggesting that the assassins got the two men confused. Mr Kozlov is the most senior official to have been murdered in a contract killing since the President, Vladimir Putin, came to power six years ago, and the government is interpreting his murder as an attack on the system itself. "[His murder] is an impudent challenge to the Russian government," said Anatoly Chubais, chairman of UES, Russia's state power company. Orekhovskaya, which rose to prominence for racketeering in the early 1990s, is thought to have organized the slayings of at least 35 people, including an investigator, a senior police official and many rival gangsters. The group's influence all but vanished after a series of arrests in the late 1990s. Pylev, the convicted leader, headed a brigade of hit men inside the group known as the Medvedkovskiye, Andrei Khryapov, a senior detective in the city police's criminal investigations department, told Gazeta.ru. The brigade took care of the dirty work for the group's leaders, taking out rival crime bosses and businessmen who declined to "cooperate," Khryapov said. With most of the group's founders having been killed by 1997, Pylev and his brother Andrei, along with Sergei Butorin, took over the group, Izvestia reported. Butorin is serving an eight-year prison term in Spain. Spanish police arrested Andrei "The Dwarf" Pylev at his luxurious villa in the elite resort of Marbella in August 2003. Investigators say he oversaw a chunk of the group's finances. 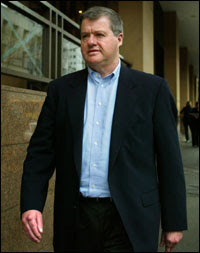 Oleg Pylev was extradited from Ukraine in 2003. The slaying of Solonik was perhaps the group's most high-profile crime. Solonik, a former soldier and police officer nicknamed Sasha Makedonsky for his deftness at simultaneously firing pistols in both hands "Macedonian-style," fled to Greece after escaping from Matrosskaya Tishina prison in 1995. His body was found on Feb. 2, 1997, near Athens. He had been strangled and wrapped in plastic bags. Eleven men convicted of being members of a brutal organized crime group received prison sentences of up to 24 years Wednesday, and one of them, who had expected to be released for cooperating with investigators, fainted in shock in the courtroom. The defendants, members of the Orekhovskaya-Medvedkovskaya crime group, committed scores of violent crimes in the 1990s and killed 18 people, including reputed hit man Alexander Solonik and his girlfriend, prosecutors said. A jury convicted the 11 men on Aug. 10, and Moscow City Court Judge Vladimir Usev handed down the prison sentences Wednesday. Oleg Pylev, who was convicted as one of the group's leaders, received the toughest sentence, 24 years. Alexander Pustovalov, a reputed hit man known as Sasha the Soldier because of his former military service, got 23 years, which will be tacked on to a 22-year sentence he received last year in connection with a series of contract killings. Prosecutors said Pustovalov strangled Solonik and later dismembered his girlfriend in Greece in 1997. After the jury delivered its guilty verdict last week, Prosecutor Anton Karetnikov asked that Pylev be sentenced to 25 years in prison. Karetnikov also asked that defendants Andrei Filippov and Oleg Tolstikov be given eight-year suspended sentences because they had provided invaluable assistance to the prosecution's case. The Moscow City Court will pronounce on Monday a verdict for Imran Ilyasov, one of the ringleaders of the so-called “Kingisepp group,” as well as for its six members, whom the jury found guilty of murders. Another two defendants –Eduard Zaitsev and Alexander Sukharev – will be acquitted, in accordance with the verdict of the jury. During the discussion, the prosecutor demanded 20 years of imprisonment in a maximum-security labour camp for Ilyasov. In his opinion, another six members of the “Kingisepp group” – Igor Povarennykh, Albert Frolin, Alexei Zazdravnikov, Oleg Bartenev, Valentin Lapichev and Andrei Abramov – deserve prison terms from eight to 10.5 years. The jury declared the defendants guilty of the murder of Ruslan Kadiyev from Dagestan in 1992, of Alexander Lisinchuk, chairman of the board of the Kominvest Concern and chairman of the board of directors of Belbusinessbank, from Belarus, in 1993, and of Nidar Akhmedov, director of the Avalon Trade Company, in 1996. According to the information obtained during the investigation, the gang staged about a dozen of contract murders. This is the second hearing of the case. The previous one was interrupted on the last stage because of the dissolution of the jury. The circumstances of the crimes were established with the help of the evidence given by Sergei Finagin, another ringleader of the “Kingisepp group,” who was arrested in December 2007. His case is being investigated separately. According to the information of Finagin, the gang was created in 1992 in Moscow on the basis of the Pereval guard firm, which was headed by Imran Ilyasov, a resident of Kingisepp. Previously the Moscow City Court sentenced another seven members of the gang to long prison terms. 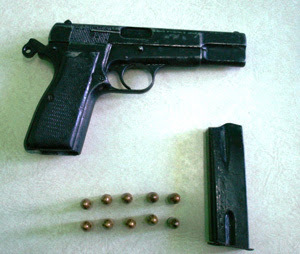 The killer escaped in a Russian-made Zhiguli, which was found a few minutes later on a residential street. The killer set the getaway car on fire to cover his tracks, and no one has been arrested in connection with this murder. Police suspect that Samoylenko was killed due to his present and past business affiliations. Samara’s local government has just changed leadership, and there have been several attacks on regional businessmen. These attacks may be part of an attempt to re-distribute financial power in the city. Itera is a prominent Russian oil company, and there are many potential enemies in Samara who could have wanted Samoylenko dead. Another possible reason for this murder could have been Samoylenko’s previous position with AvtoVAZ - the largest car manufacturer in Russia. Over 500 people affiliated with AvtoVAZ have been murdered in contract killings since 1992. Exiled Russian oligarch Boris Berezovsky has been charged with multiple crimes dating from the time he acquired AvtoVAZ (the Franco-Russian film Oligarkh, a thinly veiled biography of Berezovsky, portrays this part of his career). Many criminal organizations are involved in stealing and re-selling AvtoVAZ vehicles. In the last few years, the Russian government has exerted a tighter grip on the situation around AvtoVAZ, and this combined with new management has resulted in more transparent business practices. Although AvtoVAZ has been forced to pay back taxes, the recent reforms have actually led to higher profits for the company due to reduced fraud and theft committed by employees. However, many criminal gangs lost money as a result of this new transparency. Now anyone involved with AvtoVAZ faces the threat of being “punished” for their previous “misdeeds” by these criminals. In June 2006, Vice-President of AvtoVAZagregat, Boris Selivanov was killed in Tolyatti, the company’s hometown. In October 2006, Igor Lisyutin, CEO of AvotVAZ daughter-company Eleks-Polyus, survived an attempt on his life in Moscow. No matter what the reason for the murder was, it is very sad to see certain groups reviving criminal practices which were popular in Russia in the 1990s. The average price for a "hit" is $12,700, but you can get it as cheap as $380. A study of contract killings in Australia has found most are not ordered by criminals, but by angry spouses and jilted lovers. But professional criminals order the most successful "hits." The Australian Institute of Criminology and South Australia's major crime investigation branch studied 163 attempted and actual killings between 1989 and 2002. "The most common motive or reason for hiring the services of a hit man was in relation to the dissolution of an intimate relationship," Toni Makkai, acting director of the Australian Institute of Criminology, said in a statement received on Wednesday. Makkai said the most common motives ranged from preventing a person from pursing another relationship, revenge for having an affair, eliminating a partner in order to be with a lover or to gain custody of children. Other motives were money, silencing a witness, general revenge, drugs and organized crime rivalry. The average payment received by a "hitman" for a contract was $12,700, the lowest $380 and the highest $76,000. The most common weapon used in "hits" was a gun. In fact guns were five times more likely to be used in contract killings than in general murders. "If you want the job done you are going to use the most deadly weapon available," Makkai said. Contract killings in Australia make up only a small percentage of all murders. During the four-year study period "hits" accounted for only two percent of murders. But the number of "hits" is slowly rising with an average now of seven attempted and five completed each year. "This study, which combines a research and investigative perspective examined 163 offences of attempted and completed contract killings in Australia, and found that the most common motive or reason for hiring the services of a hit man was in relation to the dissolution of an intimate relationship," Dr Makkai said. "Typically, the services of a contract killer are sought by a current or former intimate partner to prevent him/her from pursing a relationship with someone else or in revenge for having done so, or to eliminate a current partner so that they can be with their lover, or gain custody of children if custody is an issue". Other common motives associated with attempted and completed contract killings were "money/financially motivated", "silencing of witnesses", "revenge", "drugs related", and "criminal networks/organised crime". The category of "drugs" was one of the least common motives found to be associated with contract killings. The study also examined the characteristics of the 94 attempted and 64 completed contract killings, and found that the average payment for an attempted contract was about $16,500. The lowest payment specified in a contract was $500 and the highest payment was $100,000. A firearm was the most common weapon specified to be used in attempted contract killings, and a firearm was five times more likely to be used in completed contract killings than in homicide generally. Despite public perception of its frequency, contract killings make up a small percentage of total homicides in Australia, only 2 per cent during the period examined. Six journalists were slain in contract killings in 2007. One of them was a TV journalist who was killed in the first suicide bomb attack on former Pakistan People’s Party (PPP) chairwoman Benazir Bhutto in Karachi. A cameraman was killed when the security forces stormed the Lal Masjid in Islamabad. “Pakistan became the most dangerous Asian country for the media in 2007,” RSF underlined. Report rejected: Pakistan Television (PTV) is directly controlled by the government and “systematically plays up the statements and activities of President Musharraf and other government leaders,” the report alleged. A spokesman of the Ministry of Information & Broadcasting rejected the RSF report terming it unrealistic, unreasonable, based on hearsay and contrary to the ground realities in Pakistan. Gino "G" Free"Nite Nite" Pitts,"Grimmie Gang" so controlled the drug trade in Avondale that if you sold drugs there, you had to pay them a street tax. Donta Cordell Edwards, 31-year-old owner and CEO of Grownman Records, was found dead April 15, 2007, along a freeway on the west side of Detroit. 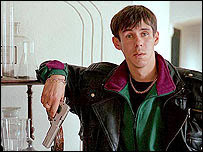 IRA gangs went on killing people for reasons varying from personal disputes to perceived slights to the IRA's authority to eliminating drug dealers who refused to pay protection money.